Rebel Wilson is reportedly dating comedian and actor Mickey Gooch Jr. 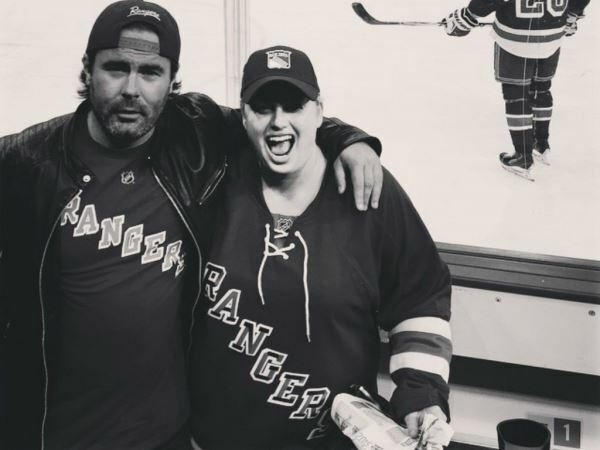 The Pitch Perfect actress shared a picture of them together at a New York Rangers game over the weekend. And now it’s been claimed that the 29-year-old has made it official with her new beau. “They get along really well, they respect each other’s work," an insider told US Weekly. "She's been too busy to date for awhile, they've been texting often and they've been spending some time together in L.A. and New York." In the image Rebel posted on Instagram on Saturday, Mickey can be seen with his arm around her shoulders as they both wear Rangers shirts. The Australian actress has a look of joy on her face and she captioned the black and white shot: “#RangerDanger, Let's go NY! (sic)". An insider added to the outlet that Mickey also supported the star at the premiere of her new movie, Pitch Perfect 2 earlier this month. Her alleged new romance comes weeks after the blonde opened up about her struggles to maintain a steady love life. “You have to sacrifice relationships because you work, and now I travel all around the world," she told Australia's Elle magazine. "I'm constantly moving and constantly travelling and so it's really hard to maintain a relationship in that kind of environment. I keep that [part of my life] quiet. You have to have some private stuff, and so I've never flaunted anything or talked about anybody." Rebel is currently based in the Big Apple filming her next movie, How To Be Single.